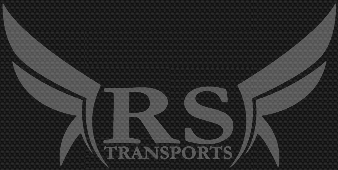 You can contact Rs Transports for 7 days and 24 hours a day. No reservation is considered as accepted until confirmed by email. It is the responsibility of the client to provide a full and valid mobile phone number, including the international dialling code, E-mail. Your vehicle will normally be at the airport for the scheduled arrival of your flight. In case where the flight is delayed more than one hour you will be put on the next available transfer. Normally the driver will be waiting in front of your arrival gate with a sign of your party's name. However you must refer to your booking confirmation where you will find specific instructions for your particular airport. You must reconfirm your departure at least 24 hours in advance to make sure that all the information concerning flight times, airport and pick-up address are correct. It is the responsibility of the client to provide a full and valid mobile phone number, including the international dialling code to your driver. It is the responsibility of the passenger to check for messages left on their mobile contact number during the day prior to travel. Resort to Airport pick up times are approximate, if a change of collection from the time quoted at the time of booking is necessary the Passenger will be notified during the last 48 hours before the transfer. If the passenger does not have a valid mobile number, ensure that a resort contact number has been provided for the passenger(s). Notification of any pick-up time changes will be sent by SMS text or by calling the mobile contact number given on the booking. We run a fleet of new style vehicles with 3, 5 and 6 or7/8 passenger seats. They are air-conditioned for the summer, and fully equipped for the winter. All luggages must be clearly labelled with the owner's name and destination address. Customers are limited to two items of luggage. Any excess luggage must be declared at the time of booking. Then it will be convenience for us to decide which vehicle to be send, otherwise we reserve the right to charge an excess baggage allowance or refuse to transport the items. We charge the same rate for all occupied seats. Please note that children may not travel for free on an adult's lap therefore we provide car seats. You should clearly indicate the number of children and their age on the day of reservation.